The Gilman Scholarship Program is honored to work with organizations, corporations, individuals, institutions, and governments around the world to offer the most rewarding experience for Gilman scholars and their communities. Featured here are a few of our valued partners from across sectors. We thank them for their ongoing support of the Gilman experience! Education New Zealand (ENZ) raises awareness of New Zealand as a study destination and supports the delivery of education services offshore. 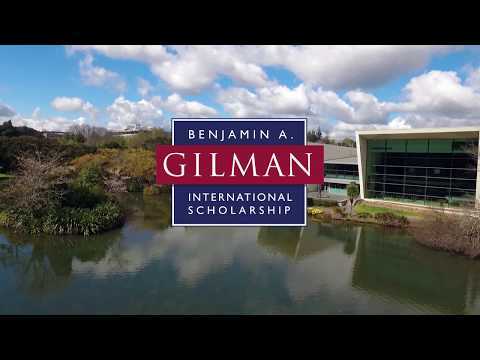 Through their partnership with the U.S. Department of State, ENZ is providing support of $50,000 over the next two years to support at least 10 more Gilman scholars to study in New Zealand. Founded in 2008, Airbnb’s mission is to create a world where people can belong when they travel by being connected to local cultures and having unique travel experiences. Airbnb has partnered with the U.S. Department of State to send additional U.S. undergraduate students to China to gain new perspectives and skills, allowing scholars to create connections in China through their study or intern abroad. APSIA strengthens & promotes graduate schools around the world specializing in international affairs. APSIA makes it easy for Gilman Scholars and alumni to find the right graduate program through the resources on our website & during online & in-person events. Reach the World (RTW) leverages the web, messaging & video conferencing to connect K-12 classrooms with travelers in one-on-one global, digital exchanges. Since 2009, over 600 Gilman Scholars have served as RTW travelers. SEO Scholars is a free 8-year academic program that gets underserved public high school students to and through college—with a 90% college graduation rate. SEO Scholars partners with Gilman by providing students with information sessions, and working closely with partners to help students secure additional funding to study abroad. The Gilman Scholarship is a program of the U.S. Department of State's Bureau of Educational and Cultural Affairs (ECA). ECA fosters mutual understanding between the people of the United States and the people of other countries to promote friendly, sympathetic, and peaceful relations.